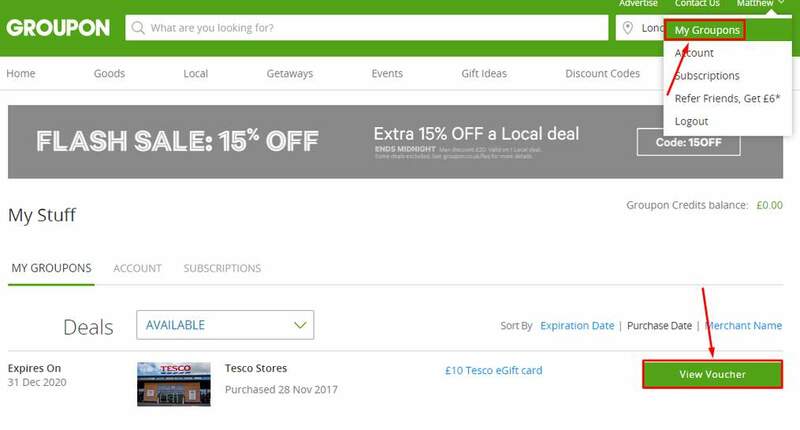 £5 for £10 of Tesco egift card. Not valid for online groceries. Single transaction OR multiple transactions until the balance reaches zero. 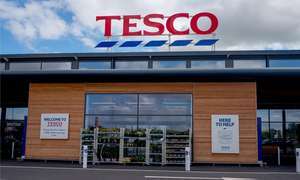 Valid in the UK only, online or in any Tesco stores. What happens after I buy? Within 24 hours you'll receive an email receipt confirming that your purchase has been processed. During times of high site traffic, please allow the full 24 hours for your receipt to arrive through email. That email will explain how to print your Groupon, and your Groupon will include everything you need to know to redeem it. Welcome! This deal is by invite only. Only those who've received a …Welcome! This deal is by invite only. Only those who've received a designated notification are eligible to purchase this deal. Got it on two of mine. Thanks. Worked on one of my email addresses too. Free money ! Thanks OP have some heat ! Just ordered, had email this morning. Thanks OP. For a change, I got an email. Nice! I received a Currys one. This is just as tastier! Got the invitation email but when I try to buy it just says "Sorry, this offer is by invitation only.". I have decided not to proceed any further. Went to paypal directly and .... no security message or anything like that. So now my suspicion is raised that email from groupon is fraudulent. It came from "noreply@r.grouponmail.co.uk" email address. I have changed my groupon password now. Perhaps I am panicking but why it showed me suspicious activity going through groupon but not directly? So I will give it a miss on this occassion. ok. something strange happened. I went for it. Logged in to groupon, chose …ok. something strange happened. I went for it. 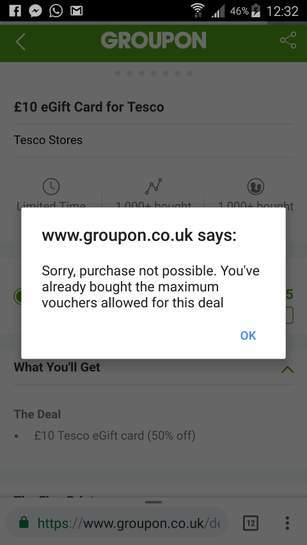 Logged in to groupon, chose paypal as payment option and then the message appeared that there was suspicious activity on my paypal account (login in other part of UK on 18/09) and asked me to check my paypal security questions....I have decided not to proceed any further. Went to paypal directly and .... no security message or anything like that. So now my suspicion is raised that email from groupon is fraudulent. It came from "noreply@r.grouponmail.co.uk" email address. I have changed my groupon password now. Perhaps I am panicking but why it showed me suspicious activity going through groupon but not directly? So I will give it a miss on this occassion. How will I know if got it? Thanks op! The girlfriends getting spoilt this christmas. Got to payment stage but then it failed when I clicked the paypal link. Spoke to live chat who were hopeless and cut me off! I've cleared cookies etc but when I try again it just says I've already purchased the deal. Got to payment stage but then it failed when I clicked the paypal link. …Got to payment stage but then it failed when I clicked the paypal link. Spoke to live chat who were hopeless and cut me off! I've cleared cookies etc but when I try again it just says I've already purchased the deal. I virtually have same issue live chat hopeless, asked me to clear cookies cache etc made no difference, then said pass on my query to tech takes up to 10 days! The free version of Malwarebytes is usually sufficient - no need to pay for the additional features of the paid version.